Our signature Barrel Bar Umbrellas are handcrafted to the finest detail. Our circular table tops are manufactured from recyclable hardwood, then carefully fitted to one clean and coated authentic 330 L Wine Barrel. Our Barrel Bar is perfect for meals and drinks with enough table space to seat six people. Beautifully finished with a high quality umbrella fitted with an internal bracing mechanism for safety. Our umbrella’s are made from metal with a UV protective grey shade cloth. Can wind up or down, or simple removed from the barrel. 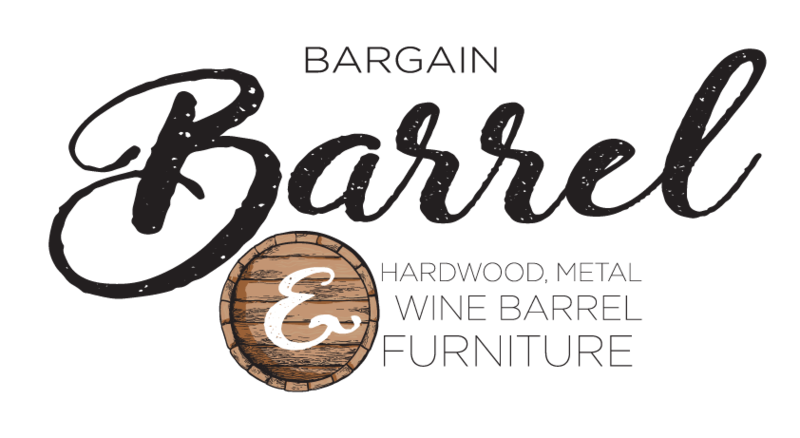 Our team at Bargain Barrel present a clever design to provide our valued customer three products for the price of one. If the umbrella is not in use, then the barrel can be removed and flipped over as a normal table top. So, you are investing in good design, Barrel Bar, Barrel Bar Umbrella or simply a Wine Barrel. Our wonderful Barrel Bar Umbrella Logos have hand painted designs using an old-school technique. Our Barrel Bar Umbrella Logos are finished in decking oil with stainless steel screws in each band to maintain the barrels authenticity and integrity. A variety of designs such as Bundaberg Rum, Jim Beam, Jack Daniels, NRL teams and more are available. Please find time to view our extended range of Wine Barrel Umbrella furniture.